US futures are pointing to a lower open today after ending higher on Tuesday. Economic advisor Gary Cohn’s sudden resignation hurt the futures as investors fear President Donald Trump will move ahead with his planned steel and aluminum tariffs. The S&P futures fell 0.72% to 2,704.50, Dow futures tumbled 0.98% to 24,608 and Nasdaq dropped 0.62% to 6,864.75. Elsewhere, shares at Asian markets closed in the red on Wednesday, and European stocks are trading lower. On the European economic front, data from Eurostat showed that Eurozone’s gross domestic product rose 0.6% sequentially in the fourth quarter, after rising 0.7% in the third quarter. The Bank of France data revealed that the French current account deficit widened to EUR 1.6 billion in January from EUR 0.8 billion in December. Statistics Denmark data showed that Denmark’s industrial production grew a seasonally adjusted 2.6% on month in January after declining 1.4% in December. Data from the National Statistical Institute revealed that Bulgaria’s gross domestic product increased a seasonally adjusted 3.5% on year in the fourth quarter after rising 3.9% in the third quarter. On the Asian economic front, data from the Australian Bureau of Statistics showed that Australia’s gross domestic product advanced 2.4% in the fourth quarter after rising 2.8% in the third quarter. The Cabinet Office data revealed that Japan’s leading index, which measures future economic activity, fell to 104.8 in January from 106.6 in December, and current economic activity tumbled to 114 from 119.7. 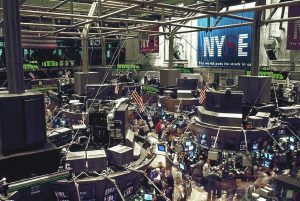 On March 6, US ended higher, with Dow up 0.04% to 24,884.12, Nasdaq up 0.56% to 7,372.01, and the S&P 500 up 0.26% to 2,728.12. The Commerce Department data showed that factory orders fell by 1.4% in January after rising 1.8% in December. Economic advisor Gary Cohn’s sudden resignation hurt the futures as investors fear President Donald Trump will move ahead with his planned steel and aluminum tariffs. Meanwhile, key economic data that will be released today include the Federal Reserve Beige book, Mortgage Bankers’ Association mortgage applications, Automatic Data Processing/ Moody’s Analytics’ employment report, Labor Department’s productivity and costs report, and Energy Information Administration petroleum status report. New York Federal Reserve Bank President William Dudley, and Atlanta Federal Reserve Bank President Raphael Bostic will deliver speeches today. On the corporate front, Abercrombie & Fitch stock jumped 6.23% and shares of Autodesk climbed 9.91% in premarket after higher-than-expected fourth quarter results. Urban Outfitters stock slid 2.70% in premarket after fourth quarter earnings were hurt by the new US tax law. Shares of Ross Stores fell 4.51% in the premarket after guiding slower than predicted same-store sales growth for the year. Dollar Tree stock plunged 10.21% in the premarket after lower-than-expected fourth quarter earnings. 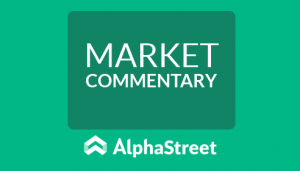 On the earnings front, Costco Wholesale, Celldex Therapeutics, CTI BioPharma, Comtech Telecommunications, Thor Industries, Noah Holdings, and Dollar Tree are the key companies due to release their earnings today. Crude oil futures is down 0.38% to $62.36. Gold is trading down 0.20% to $1,332.50 and silver is down 0.53% to $16.695. On the currency front, the US dollar is trading up 0.178% at 105.802 yen. Against the euro, the dollar is down 0.03% to $1.2416. Against the pound, the dollar is down 0.15% to $1.3871.